A reporter takes on nature, not the Strip, for a full day of rock climbing, biking and kayaking. The Nevada desert stretches to the east under a bright blue morning sky. Chaparral, Joshua trees and creosote bushes freckle the flat honey-colored sand beyond the rust red and gray sandstone of the Calico Hills, 17 miles west of the Las Vegas Strip in the Red Rock National Conservation Area. It’s a gorgeous sight, but I’m in no position to soak it in. I’m 80 feet off the ground, clinging to a rock face, focused on the 2 feet around me. Somewhere near me on this blackened vertical wall is a crevice that will save me from a hairy fall, a belaying rope attached to my waist notwithstanding. I just have to find it. And to think these canyons and boulders are just an accident of nature from 225 million years ago when the Earth’s crust began to rise in what was then an ocean. Sand and mud hardened, and some of it, pushed up by thrusting faults, oxidized and turned red. 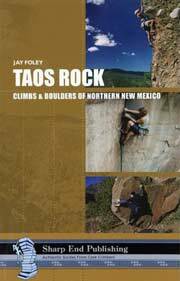 Now this stone empire is a world-renowned rock-climbing playing field, featuring more than 2,000 climbing routes from easy boulder hops to insane Spider-Man adventures. Best to avoid it on weekends and holidays, though. The parking lots are usually full of climbers, ropes and gear in tow, heading out to these monoliths. My guide, Mike Ward, is a burly ball of energy with a soul patch and short gray hair. His hands are thick and calloused from about 30 years of rock climbing in the area. He has worked as a guide for bored tourists, twenty something thrill seekers and even a few casino entertainers. And now he’s working for me. “Keep going. You’re doing fine,” he says. I don’t respond because that would require looking down. Bad idea. Keep looking up, I think. “There’s a small ledge for your foot just below your right hand,” Ward hollers as I scale the “Magic Bus.” I’m about halfway to the top, and I see the ledge. It’s little more than a dent, a pock, really, on the face of a red and black sandstone slab. Like I’ll have any chance with that. Fear and loathing, indeed. This is my third try, ever, at rock climbing, and Ward has started me on a 5.8. That’s climber talk for a fairly gnarly scramble. On a scale of 5 to 5.15 (a scale that’s not a numeric progression and thus seems illogical), 5 is an easy hike and 5.15 is the kind of vertical terrain that only a few experts might try. I make my move and scramble to the next hold. The rocks feel like 20-grit sandpaper. Surprisingly, my shoes hold, and I make it to the top. Guide Mike Ward works for Mountain Skills Rock Climbing Adventures in Red Rock Canyon. 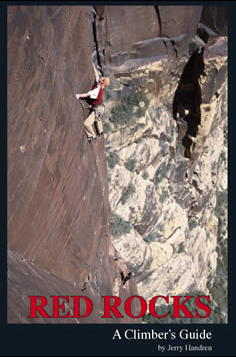 $105 to $270 per person (rate depends on size of the group); (505) 776-2222, www.climbingschoolusa.com. What to take: Wear comfortable, flexible clothes. Dress in layers because the temperature can change dramatically. Take a hat and wear sunscreen. Pack a light lunch and plenty of water.